Simplify the medication regimen if possible. For example, consider prescribing an inhaled corticosteroid of a greater strength that can be administered once a day, rather than a lower strength that must be administered at two different times each day. 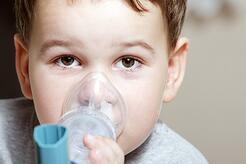 Using an inhaler or nebulizer can be complex! Ensure that a member of the clinical staff reviews how to use the asthma tools with the child and parent at every visit. Give parents access to handouts and videos to help! Ask the patient and parent how often they miss the medication. Explain to the parent and child why taking the medication every day is so important. Remind them of what can happen when they do not take the medication. Tell them that you will be checking in with them about this at the next visit to encourage compliance. Be sure to give parents and children their tailored asthma treatment plan to ensure they know what to do depending on the severity of their asthma. Point them to where this information is saved online, so that they can always print more copies as needed. Suggest simple reminder systems that the parent and child can use, like using an alarm on their smartphone. Give them a list of suggestions to try. 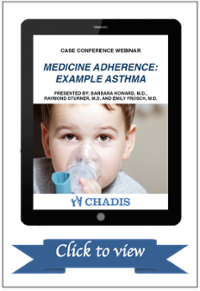 Asthma medication adherence in pediatric patients is a major challenge. Try the suggestions above. Need help sending education handouts and videos, checking in on adherence, providing the treatment plan online, or suggesting reminder systems to parents? CHADIS will soon facilitate all of these steps with innovative and automated tools. In development currently with a National Institutes of Health-funded project. World Health Organization. (2003). Adherence to long-term therapies: evidence for action. World Health Organization. Sumino, K., & Cabana, M. D. (2013). Medication adherence in asthma patients. Current opinion in pulmonary medicine, 19(1), 49-53. National Heart, Blood, and Lung Institute. (1997). Expert Panel Report 2: Guidelines for the Management of Asthma. National Institutes of Health Publication Number 97-4051. 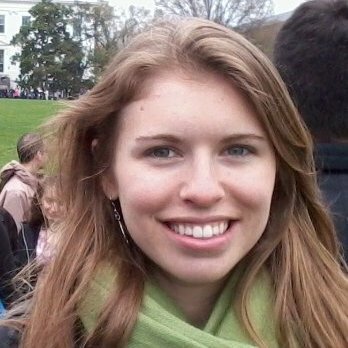 Ms. Vullo received a Master of Health Science at The Johns Hopkins School of Public Health in the Department of Mental Health. She was previously a scientific program analyst and resource and communication director for a study led by the National Institute on Drug Abuse at the National Institutes of Health. She is the project manager of the CHADIS National Heart, Lung, and Blood Institute-funded asthma care quality improvement project and the Family Stress Patient Specific Template. Treehouse Pediatrics has used Chadis as a part of its day to day operations for the past couple of years. We have found it to be a tremendous asset in our operational efficiencies. Parents appreciate the convenience of completing their child’s developmental, ADHD, and asthma questionnaires at home, and it has proven to help make all of our visits requiring questionnaires run more smoothly. Furthermore, we appreciate the interpretation and documentation that Chadis provides for these questionnaires. We feel that Chadis has become an integral part of our operational efficiencies. We do not know what we would do without it. CHADIS has been a really great resource for my practice. With CHADIS, I have access to a comprehensive list of screening and assessment tools. I can use the tools to accomplish multiple goals, including early screening and intervention. As a physician, I know that early intervention DOES WORK! Copyright © 2003-2015, Total Child Health, Inc. All rights reserved.